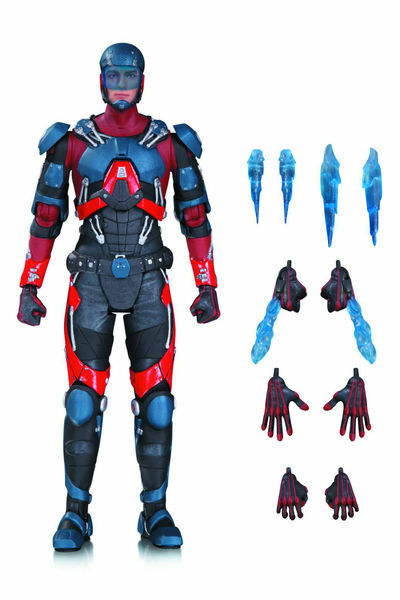 The Atom, star of the TV series DC'S LEGENDS OF TOMORROW, is brought to life with this supremely detailed 6.75" action figure from DC Collectibles. 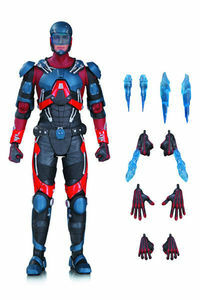 The high-tech hero comes with dozens of points of articulation, interchangeable hands and energy blast accessories! Bring the heroes and villains from the popular ARROW, THE FLASH and DC'S LEGENDS OF TOMORROW television universes out of the small screen and into your home with these intricately designed action figures! Legal Notice: Entire contents trademarked (® or TM) and copyrighted (©) 1986-2019 by Things From Another World, Inc. and respective copyright and trademark holders. All rights reserved. Page rendered at 2019-04-24 15:18:46 in 0.252 seconds.